Gonzalo has now strengthened into a category 1 Hurricane which is causing cruise ship mayhem through the eastern Caribbean. Almost every major cruise line has now been affected by the storm which has already hit many popular cruise destinations including St Maarten, Antigua and the US Virgin Islands. Yesterday Cruise Hive reported itinerary changes for Disney Magic and Explorer of the Seas but now more cruise ships have been forced to change itineraries too. On October 14th Carnival Liberty is changing it;s port of call in St Thomas, US Virgin islands with a day at sea. The ship will then sail a western Caribbean cruise including Grand Cayman and Cozumel. Carnival Breeze call at La Romana, Dominican Republic has been cancelled. The port has been replaces with a day at sea on October 14th. Carnival Conquest is now sailing a western Caribbean cruise instead of an eastern one. Its already missed a port of call at Carnivals private island Half Moon Cay and replaced it with a day at sea. The rest of the itinerary will be spent sailing in the western Caribbean. Caribbean Princess will be another ship that has changed to a Western Caribbean cruise. The itinerary will include Ocho Rios, Jamaica, Grand Cayman and Cozumel instead of St Maarten, St Thomas and Grand Turk. Instead of sailing the Eastern Caribbean the Norwegian Getaway will sail to Falmouth, Jamaica instead of St Maarten on October 14th. Cozumel, Mexico will then replace what would have been a sea day on October 16th. 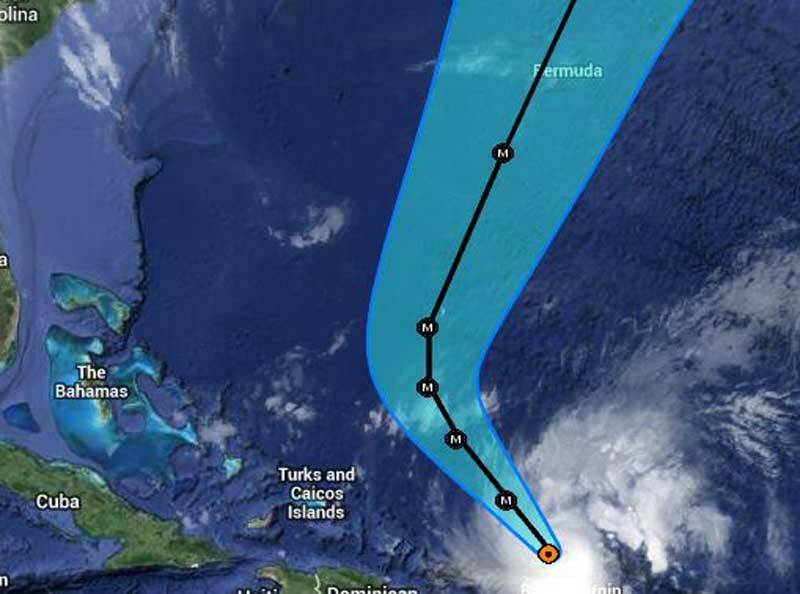 hurricane Gonzalo is now moving away from Caribbean destinations and heading right for Bermuda where severe damage is possible. The storm is gaining strength and the current maximum sustained winds are 110 mph. Over the next day or so the Hurricane will remain to the east of the Bahamas which is a popular cruise destination. IMPORTANT: By Thursday NOAA is expecting Gonzalo to become a category 4 major Hurricane and could cause major damage to Bermuda.